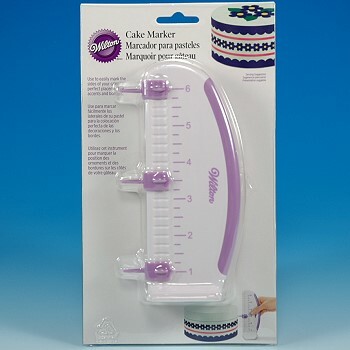 Cake Marking Guide, easily marks the sides of your cake for perfect placement of accents and borders. 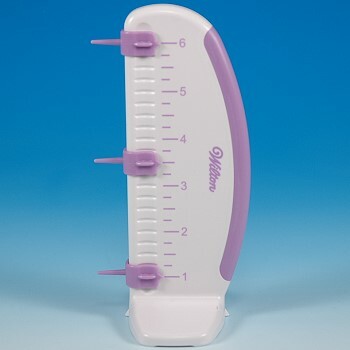 Eliminate the cumbersome two-handed use of rulers and tools. 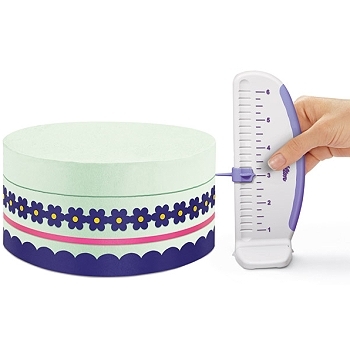 The Cake Marking Guide has Three Marking Pins, which are removable and adjustable between 1" to 6", for exact placement of borders, garlands, string work and decorations. Can also be used in conjunction with the Cake Dividing Mat. Works great for either rolled fondant or buttercream cakes.